WE TAKE LAUGHING AT LIFE VERY SERIOUSLY. We’re starting the new year off with a few new suppliers here at parcel+prose, and we’re happy to announce Boo To You. Boo To You was created in 2010 in Victoria, B.C. 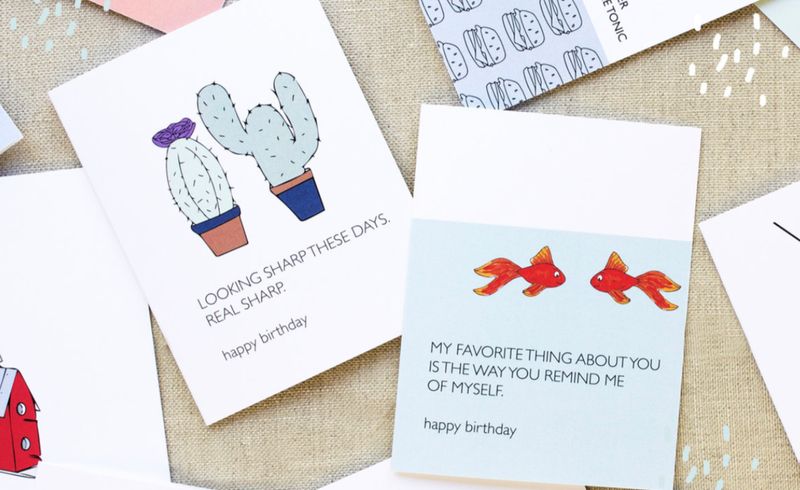 Founder Sarah Rouget had spent years creating cards to make her friends and family laugh, and eventually decided to share her creative wit with the rest of us. There is something for everyone, and they remind us to not take life too seriously. We’ve been keeping an eye on this designer for some time now. Her wit and sense of humour fits right in to the kinds of cards we seek out for our customers, coupled with the fact that she is Canadian we couldn’t resist! Come in today and find out for yourself why we love this supplier, and we bet you’ll find something you just need to share, too.